A good number of readers and users of VGPC asked to see the average price for all games for each console and a chart to show the pricing history like we do for individual games. During some of the preliminary research into adding the feature I ran into an interesting dilemma. Do we show an average price or a median price? Which one we choose makes a big difference in the price we would show. Let me use the NES as an example. The average NES price is $17.55 while the median is $3.09. Why is there such a big difference? We have prices for about 750 NES games and the vast majority of them sell for less than $10. From the chart below you can see how the game prices are distributed. The red bars show the number of games in a price range and the blue line is the cumulative percentage of games that sell below that price. From the chart you can see that 60% of NES games sell below $4 and 80% sell below $10. There are about 60 games that sell for $20 or more, or about 7.8% of the total. These 60 games are the ones that skew the average so much higher than the median. Many of these games sell for well over $500. Nintendo World Championship alone adds $5.68 to the average price. If we were to show the average price NWC and other expensive games would dominate the prices. For example, if NWC were to sell tomorrow for $6,000 the average NES price would jump from $17.55 to $19.87. But the median price would still be $3.09. Below is an example using the real average NES prices during the last 30 days. Between Dec. 4th and Dec. 5th the price jumped more than $2 because of a high priced game. This same problem happens with other systems too. Newer systems like Xbox 360, Wii, and PS3 would see price spikes every Tuesday when new releases come out and older systems like SNES, N64, and Dreamcast would have big swings when rare games increase or decrease in price. Because of this we are leaning towards using a median price instead of an average price when we start showing price charts for every console. What do you think? The Median price for those who don't know is the cutoff where half the prices are above and half the prices are below that price. 2008 has been a great year for the VGPC Blog. It was our first full year of articles and we now have a steady stream of visitors every day and about 100 subscribers to our blog. As you can see in the chart of the visitor traffic below we had a few really popular articles on the site bringing in lots of visitors. Below is a list of the most popular articles we published on the blog during 2008 based on the number of pageviews. Thanks for the great year. We look forward to writing more articles in 2009 looking at video game prices and collecting. Back in January 2008 I wrote an article predicting the Wii would sell for $400 during Christmas 2008. I got the overall prediction wrong because Wii prices are only about $250 this holiday season. 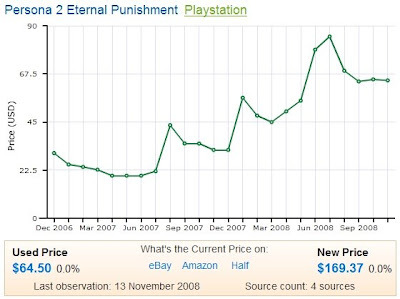 As you can see in the chart below the prices on the Wii are much lower than they were in 2007. In December 2007 the average Wii was selling for $469. December 2008 the average Wii price is $250. Although I got the main prediction wrong I did get all the smaller predictions correct, except for one big one. Nintendo supplied a lot more Wii's than expected. 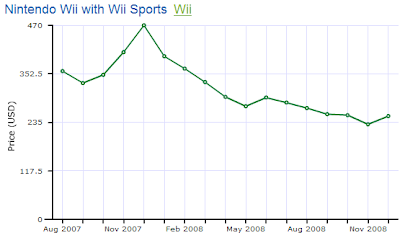 WiiFit did turn help make the Wii the must have gift 3 years in a row as I predicted, but I had no idea Nintendo was able to sell 2 million Wii's in November, which is the most consoles ever sold in November (PS2 sold 1.3 million in 2002). Historically December sales are twice November's, which would put the Wii at 4 million consoles sold. Normally resale prices are below the retail price though, so the Wii is still a bit supply constrained and probably won't be able to double November sales. Because of this I think December's NPD sales data will show the Wii at about 3.3-3.5 million units. For many gamers this is the time of year for getting tons of games as presents. If your like me there are too many games released during November and December to buy yourself so you ask parents, friends, and family to help out and buy you stuff. This year we at VGPC decided to change things. We are giving the gift of games to those less fortunate instead of buying gifts for each other. We are donating to Child's Play, a non-profit charity that gives toys and games to children at over 40 hospitals around the world. It really is a great organization. They work with hospitals to get lists of games kids undergoing treatment want this year and then people can buy specific gifts for kids using Amazon's Wishlist or by giving a cash donation. And almost all of their money, 97%, goes to the actual cause instead of administrative costs. Check out their map of hospitals to buy some games for sick kids in your area (I gave to Denver Children's Hospital , my local hospital) or read more about them yourself. Nintendo launched their Club Nintendo service in North America yesterday. It is basically a frequent shopper program for Nintendo products. You buy Wii systems or DS games or anything from Nintendo and you can get coins. You can also fill out surveys and get coins too. Accumulate enough coins and you get rewards. Some of the rewards are pictured below. Most of these rewards are not sold in stores and will only be available to Club Nintendo users so they will probably be fairly rare. Pokemon Box was only sold at the Nintendo World store and now its one of the more rare and expensive Gamecube games. 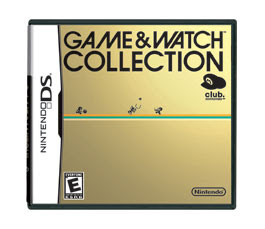 The Game and Watch Collection for Nintendo DS (600 coins) will probably become a collectors item too (and it could actually be fun while Pokemon Box is not). Right now the site is pretty buggy. I tried to change my old My Nintendo account into a Club Nintendo account and the website ran very slow. When it finally went through it I would get kicked out of the site and have to log in again whenever I clicked a link. Hopefully Nintendo works out these bugs soon and we can all get some more Nintendo games and collectors items. I bought my copy of Dark Knight today and it reminded me that there is no Dark Knight video game. What a missed opportunity. 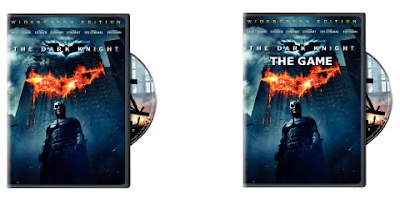 The WSJ says the Dark Knight DVD and Blu-Ray is expected to bring in $282 million during the first three months. I don't think the game would have done that much, but even half that would be a huge blockbuster game. I'm not usually a huge fan of movies turned into video games (Goldeneye 64 excepted) but publishers and movie studios passing up a chance to make millions of dollars always baffles me. If every system can get a The Tale of Despereaux, you would think people could buy a video game for the biggest movie of the 2008. Lego Batman is fun but its not quite the same. I looked around to find the reason the game was never made, but can't find anything solid. Does anyone know why a Dark Knight game was never developed? 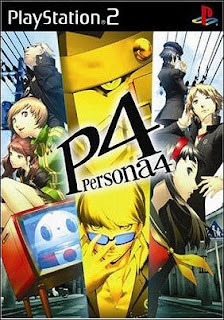 Almost a month ago we told you about Atlus reprinting Persona 2 and selling them on Amazon. We wanted to check back and see how a reprinting like this changes the new and used resale prices for gamers. 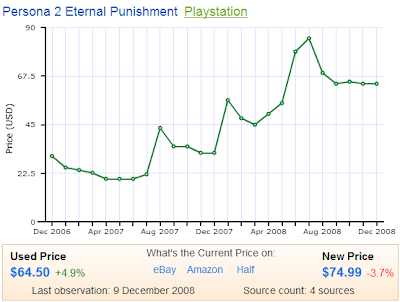 Below is the chart showing the Persona 2 price since December 2006 and before the reprinting. As you can see the average price has been increasing for Persona 2 for the last year and were selling for $64 used and $169 sealed. The chart below shows the same price history with December prices added. As you can see the used price didn't change at all after the reprinting. BUT the new price dropped more than 56% from $169 to $75. Atlus added a lot more sealed copies of Persona 2 to the market so the prices came way down. The game sold out very quickly though and the new resale price is still $35 above the $39.99 reprint price so Atlus still didn't print enough. Maybe they will have another reprinting in the future. Do you think any other publishers will do reprints of rare Playstation 1 games? I'm hoping for reprints for Suikoden II and X-COM UFO Defense. The publishers can make some more money on these great games and I can save some money when I finally purchase them. This is a bit different than my usual posts about video game prices and collecting, but somewhat related and I think gamers and collectors will appreciate it as much as I did. Travis Hendricks, one of the loyal readers of this blog, has recreated some classic video games using the level editor in Boom Blox. Enjoy the video below. The levels might appear to be really straight forward but each one took quite a bit of behind the scenes action to make them actually work. Here's Travis's video tutorial and write up showing how he created the Galaga level in Boom Blox. This was actually my very first stage in this series of Classics Recreated and let me tell you, it was not an easy first mission trying to figure out how to get everything to move correctly. So here's how I made it all work. The ship itself, and the "extra life" ships, are nothing more than a few white and red Blox in the shape of a Galaga ship. The main ship has a dog character on it, the one who throws balls at everyone, so it gives the impression that the ship is firing. The alien ships are set in a phalanx of little Deaths, little Skeletons, big Deaths, and big Skeletons to make them all appear a little different, much like the alien ships in Galaga. The "swooping" ships that come down the left side of the Galaga ship are the little Racoon characters that run after Gem Blox and bring them back to their fiery pit. So to get all the characters (Dog, Deaths, Skeletons, Racoons) to move in the manner that I wanted I simply placed the things they desire slightly off screen and in an immovable Blox box. So for the Racoon guys I placed some Gem Blox behind, and slightly to the side of, the Galaga ship so they would move down the screen. For the Death and Skeleton characters I placed a few Kittens behind the Galaga ship. And for the Dog character, well, he just throws balls at any thing that moves. From there, everything else just sort of takes care of itself.